The die is cast. 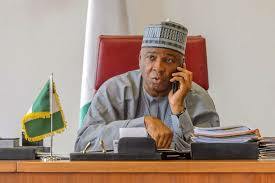 Senate president Bukola Saraki is no longer a member of the ruling All Progressives Congress, APC. 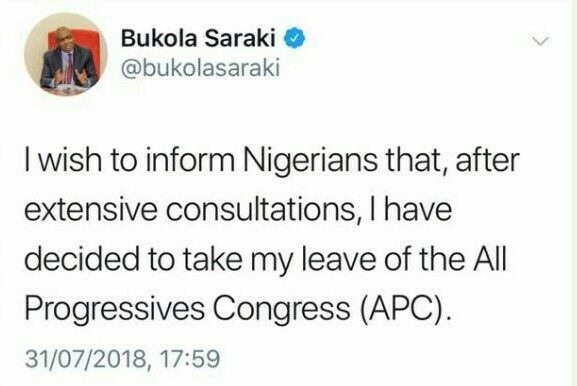 He confirmed his exit from the party via his official social media handle on Tuesday evening. Sources say the actions and statements of Lai Mohammed, minister of information, and that of the APC national chairman, Adams Oshiomhole with regards to Kwara State chapter of the party were clear indications that Saraki had to leave.